Daniel Stevens is an English actor. He is best known for his role as Matthew Crawley in the ITV acclaimed period drama series Down ton Abbey. He also starred as David in the thriller film The Guest, Sir Lancelot in Night at the Museum: Secret of the Tomb, The Beast/Prince in Disney’s live action adaptation of Beauty and the Beast, Lorin Willis in the biographical legal drama, Marshall, and Charles Dickens in The Man Who Invented Christmas. 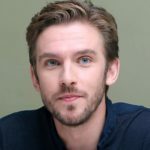 Since 2017, he stars as David Haller in the FX series Legion. "My dad’s family were pretty working class, actually." "We take so many of our freedoms for granted nowadays – I can travel where I like, I can have a baby when I like, I can do any job I want – but I do think chivalry has been lost a little bit."